to have written the plays of Shakespeare in the age of Shakespeare." Sitting at my desk, I set down my copy of A Room of One's Own and look over at the shelves of my library and ask myself the question: where is the transgender amidst all this literature? I think about Virginia Woolf's shelf where she saw no plays by women and where she had to search hard for women and the fiction they write, the fiction written about women, or the texts where women, their fiction and fiction about them are all entangled together. And I ask, how can I constitute such a shelf of trans literature? Among what books should I find about trans stories? Among what books should I find trans people telling their stories? What books could make up a shelf of the theories that bind transgender and literature together? I ask this question not just because Woolf asked her question but rather her question gives language for a question, or more than a question, already inside me. Like the dysphoria that at once made my own lack of a shelf unlivable and made the striving for a shelf of my own a necessity, I feel such a dysphoria living also in my library. I feel the weight of fatalism, grave silence, and ghosts at the present lack of a shelf unbearable and also a euphoria at the prospect of a shelf of our own coming-to-be. 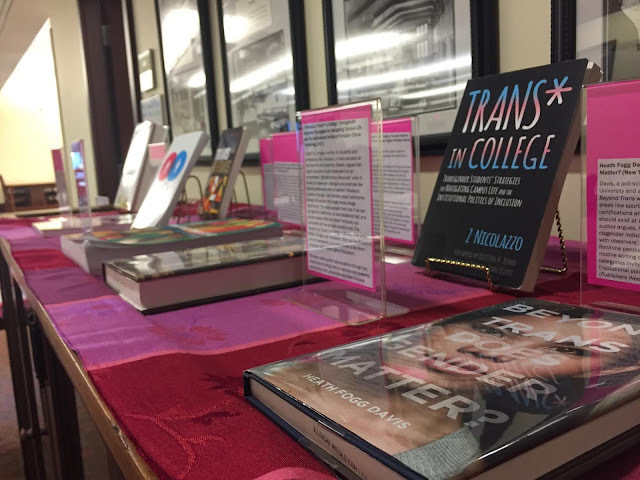 This dysphoric need for trans literature, for a transition in the fields of transgender and literary studies, is as critical and consequential as the dysphoria felt in the chest of many a trans person. I see this need among the living, among individual trans people who are compelled to narrate and re-narrate their families, friends, jobs, doctors who recommend therapists, therapists who might sign their verifying letters, lawyers who might help translate those letters into name and gender marker changes, judges who approve those name and gender marker changes, the department of motor vehicles who make those changes to one's license, the department of social security who make those changes to one's social security card, the federal government who make those changes to one's passport, the therapist again to recommend an endochronologist or surgeon, the endochronologist, the sergeon, the pharmacist, the insurance company to cover all these expenses, and then and then and then more. I also see this in all those who never got the chance to tell this story even once or when they did tell their story then had their story untold: the Leelah Alcorns and all those trans people who are buried under the dead-names, names that killed them dead and now mark as dead the trans life that could have been. I see this in all the trans lives that still might be if only they knew how to tell their story, if only their family and school and doctor and church could hear and understand their story. And I see how often those transgender futures are denied like so much of our transgender past, how a recent 2018 study found that between 38-44 percent of trans people will attempt suicide in their lives. 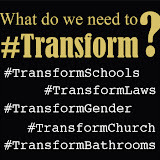 I see one in three transgender futures dissapear without anyone to tell their story. I see one in two transgender futures dispear without anyone to tell their story. That is why I call the need for trans literature dysphoric. Because dysphoria is about disatisfaction with the present, about grief for what has been denied in the past, and about hope for the future. 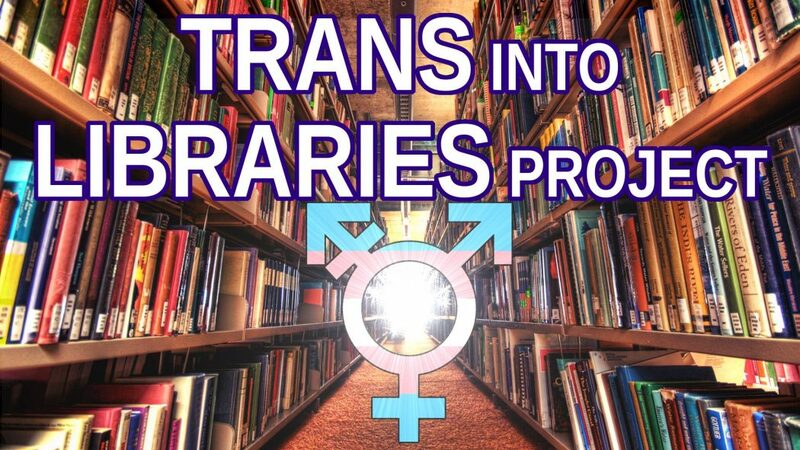 I call the need for trans literature dysphoric because I see the shelf of our own that may yet come to be and I see the library of shelves which might have existed but which were never allowed to exist. And so with these shelves of ghosts and shelves of dreams, I return to the question that Virginia Woolf showed me how to ask: where is the transgender literature? How might we have a shelf of our own and how might this shelf grow bigger, book by book, as we slowly try to make the library that is come close to the library that might have been. Perhaps one day we will find balance between the told and untold stories. Perhaps one day the living stories will outnumber the dead. But for now, today, I begin with a question, or something more. 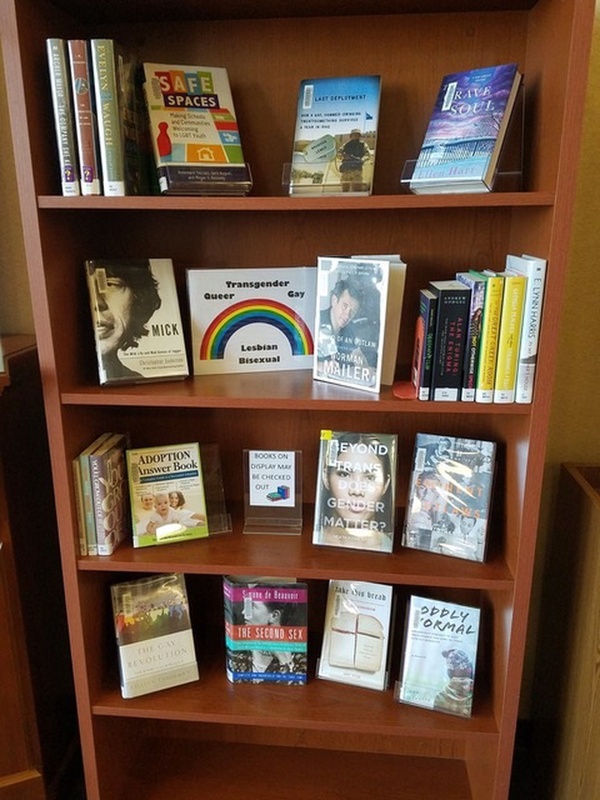 As I once did when I began striving for a shelf of my own, I will assess and plan, research and write, listen for and narrate the way trans literature might have a shelf of its own in our libraries and our classrooms. Virginia Woolf concluded that to make her desired shelf of women come into being, women needed five hundred a year and a room of one's own, with a lock on it. As a writer and mother myself, I can affirm the good sense of this. But as a trans woman who feels the dysphoric need for a shelf of our own, I would add a few more conditions. 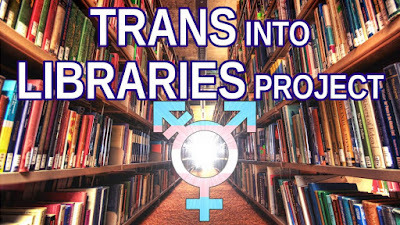 In the following sections, I will mark what I believe we need to not just ask the question but to establish a shelf called trans literature: (1) first, we will need to identify and liberate ourselves from some of the toxic tropes in which transgender has been defined within cisgender literature, or else we may never resurrect the trans figures and stories buried among other people's books and stories, (2) second, we will need to understand the stories we already tell and have already told for centuries, or else we may never know what trans literature looks like in order to recognize it on a shelf, and (3) third, we will need to examine what it means to read and write while transgender, or else trans lives will continue to be reduced to and by the theories of cisgender literary analysis. All this we need. Also, the stable pay-check and office with a lock which comes with jobs and job security would also be nice. Please and thank you.